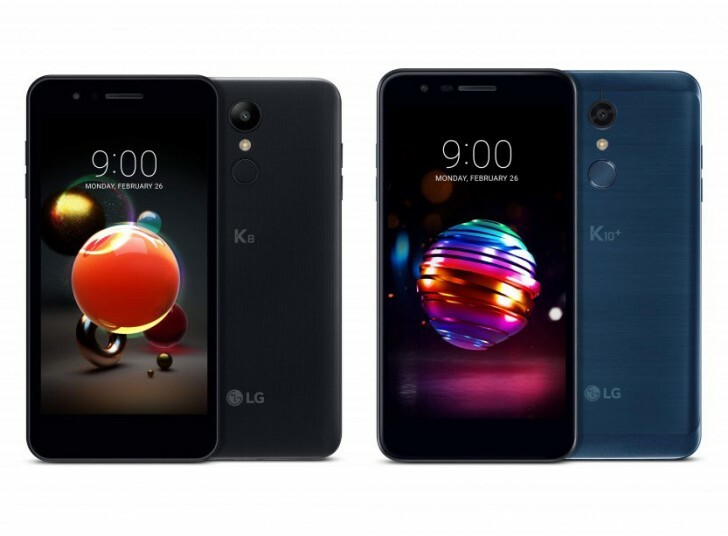 LG will be unveiling 2018 editions of its K8 and K10 midrange smartphones at the MWC which kicks off this weekend in Barcelona. Both of these models are planned to roll out in Europe, Asia, Latin America, and the Middle East. Last year, LG announced its K10 (2017) at CES. However, this year’s it didn't happen at CES 2018. The decision to announce it at MWC is one that makes more sense considering that the US isn’t a major market for LG’s midrange smartphones. LG says its K10 smartphones will have quicker focus speeds thanks to Phase-detection autofocus, and improved noise reduction in lower light and with its new 13MP camera sensor. Meanwhile, the K8 has an 8MP camera with new shooting features and the rear-mounted power button/ fingerprint scanner can be used to quickly launch the camera on either phone. The hardware will also keep its pebble like design, one that gently curves around all edges of the phone. There are also three new colors for 2018: Aurora Black, Moroccan Blue, and Terra Gold. The K8 has a 5-inch 720p display while the K10 will sport a larger 5.3-inch 720p display. The K8 comes with a 1.3GHz quad-core CPU while the K10 has a 1.5GHz one. The K10 comes in two extra variants: “Alpha” and “Plus”. The Plus model has 3GB/32GB and while the Alpha, standard K10, and K8 have 2GB/16GB. The Alpha has a lower-res 8MP camera. These variants are all likely meant for different markets. Check out the source link for the full specs on LG’s new K8 and K10 phones. Definitely. To me Moto X4 its like Greatest Showman movie from cinemas. Exceeded all my expectations by a very huge level. Moto X4 is far above these new LG phones' league. Of course it's satisfying.